This week I’m featuring yet another wardrobe staple that I’m pretty sure every one has at least one pair of – blue skinny jeans. These are insanely versatile and go with much more than sweaters and t-shirts, as you’ll see below. Oh, and as jeans are one of the most difficult items of clothing to shop for, I thought I’d take the opportunity to share my top 5 pairs with you. These aren’t just any old jeans, these are the styles that I KNOW fit well, are flattering, and last (as in they don’t loose their shape after a couple of hours wear). Jeans to work? Are you mad, Niki?! Nope. Hands up those of you who struggle to know what to wear on dress down Friday? I suggest dressing down your jacket and blouse with a pair of jeans. 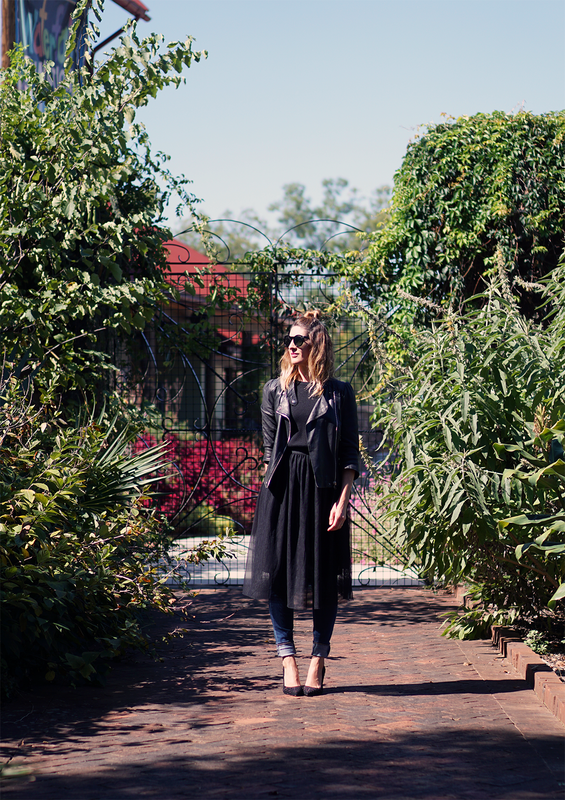 It is the epitome of ‘smart casual’ and is an outfit that not only looks good but feels good. And if you achieve both those things you’ll definitely be walking with confidence – and what better way to feel at work? Don’t keep your favorite dresses for best, use your jeans to dress them down for everyday. Skinny jeans are the easiest style of jeans to do this with as they add the least amount of bulk. 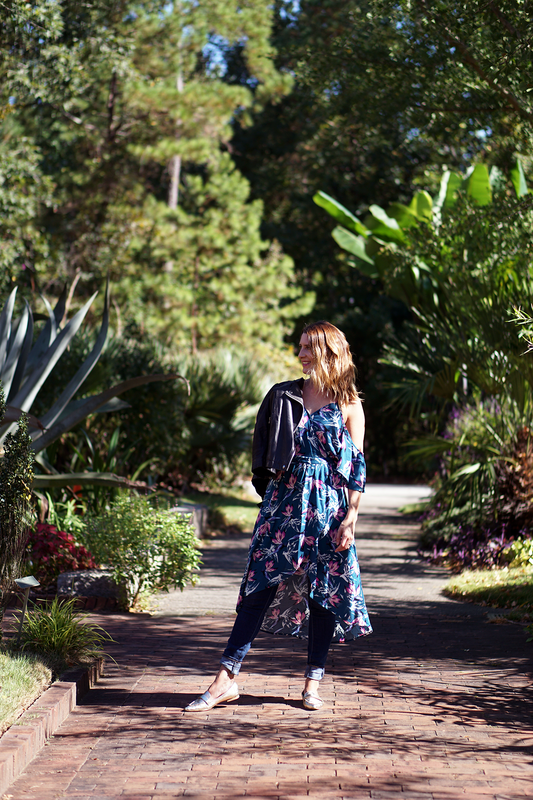 This is also a fantastic way to transition your summer dresses into fall…but more on that in a post to come. Tulle, sheer and mesh skirts are making a bit of a come back at the moment, and with that comes the opportunity to play around with different textures, and develop your layering skills. I love playing around with sheer fabrics (as you’ll have noticed if you’re a regular reader of Style Studs & Lace), and especially like dressing them down for daytime appearances. 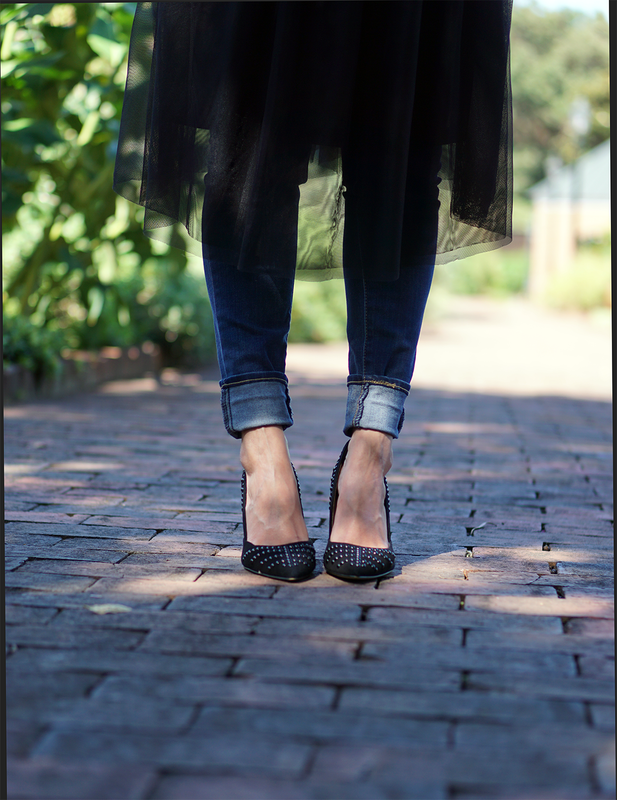 The easiest way to dress down sheer fabrics is to throw on a pair of jeans, or add a chunky knit. I personally don’t like to do both as it swamps me, but it’s a look I’ve styled a few taller clients in and it looks great! 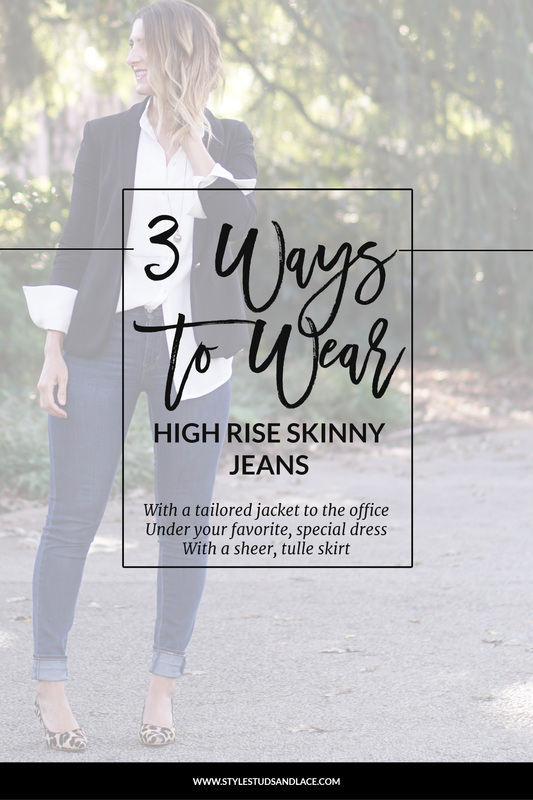 These are my favorite jeans this season – they fit beautifully, wear well and are all ridiculously flattering (because every single pair is a high rise)! 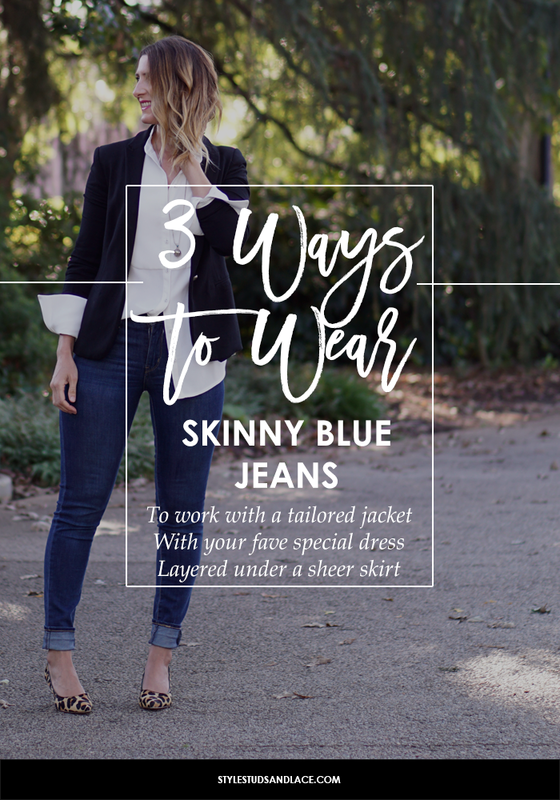 If you’re pear shaped I highly recommend the first and second pair – the pair I’m wearing in this post are the second pair, the Levis. Apple shaped, the fifth pair, if you’re an hourglass all 5 will be great but the second pair in particular will be smashing and if you’re a column shape try the third pair.